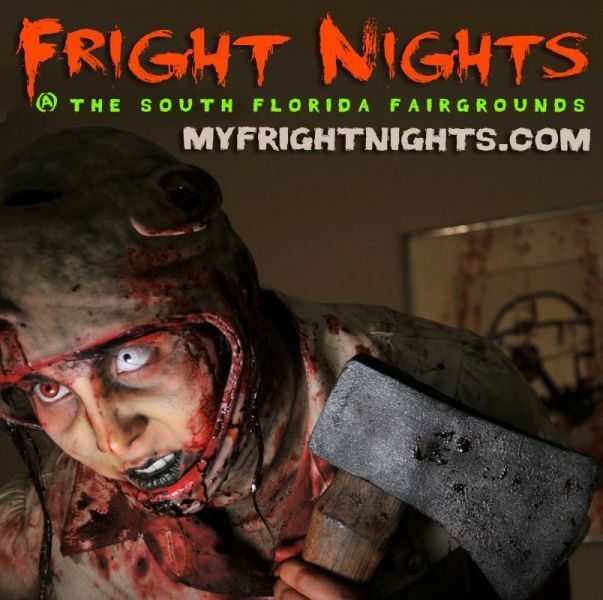 I am proud to be Creative Director for South Florida's premier Haunted Event; Fright Nights at the South Florida Fairgrounds. My crew and I all started as scare actors some 10 years ago. We slowly worked our way up through the ranks as opportunities opened up. The event is now run by us. I am in charge of graphics, branding, T-shirt design, haunt design, and 1/3 of the character / wardrobe / set design. I am surrounded by an amazingly talented group of Haunt Designers, Make up artists, Carpenters, Set Designers and a cast full of PASSION! I also spend my nights on the midway and in the haunted houses as my character Eggman, scaring folks and providing a little levity to all of the mayhem.